Contact us: 949-364-6219 We offer special monthly promotions! Are you looking for Dana Point storage units? Allsize Storage provides quality and secure storage units in Laguna Niguel California. 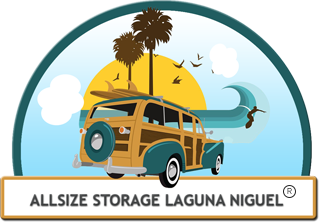 Allsize Storage is a community facility located on Crown Valley Parkway in Laguna Niguel. We provide excellent customer service and the facility is equipped with the necessary tools to ensure the safety of all your belongings and offer unique sizes for boat and vehicle storage. Your belongings are our number one priority and we put our clients first! At Allsize Storage we keep your belongings safe and secure.